At the Pokemon Centers in Japan, there is a new promotion campaign. It features the new character Scraggy. Scraggy is known in Japanese as Zuruggu. 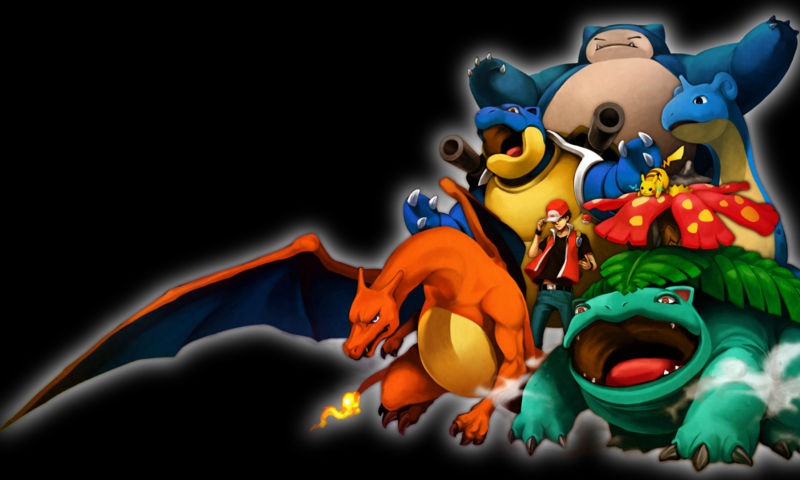 This new character is one of the generation V Pokemon characters. He looks similar to Croagunk, but is yellow. The Pokemon Centers in Japan have made some new merchandise featuring this character. There is a lifesize plush Scraggy which is a staggering 23″ (58cm) tall. Its absolutely huge. Its the same size as the lifesize Tsutarja, Mijumaru and Pokabu that came out a while back. There is also a smaller Scraggy plush toy (similar in size to a pokedoll, but slightly bigger), 5 different charms, a pen, eraser, clear files, a Scraggy shaped hat, 2 different straps, a pouch that is the shape of a plush Scraggy doll, 2 clear file folders, a tomy plush Scraggy, and more. Don’t wait. This is a limited time campaign, so it won’t be available for long. You can buy all these great items at Hardrock-Pokemon. 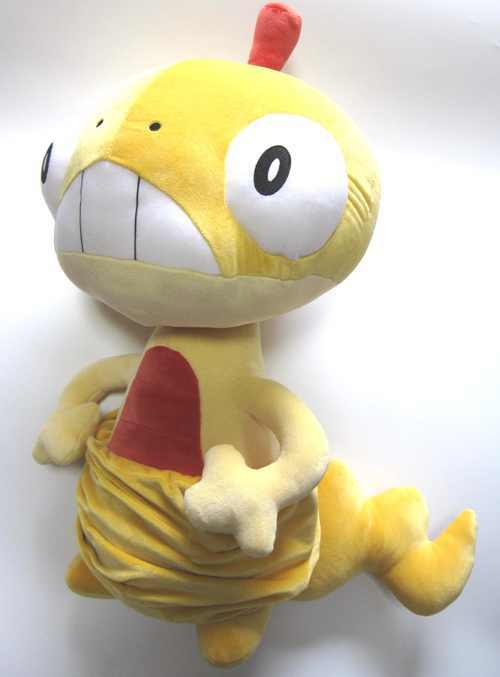 These items are very popular and will sell out very fast, especially the lifesize Scraggy plushie. The charms are very interesting. They come in an egg shaped plastic package and contain one charm. The charm inside is random, so you don’t know which one you will get. Check out my Youtube video to see just how big the lifesize Scraggy is compared to the normal size plushie.